Compliance with government and commercial regulations has become increasingly challenging and costly to both implement and maintain. Organizations have moved beyond traditional IT environments into hyper-specialized infrastructures, hybrid clouds, containerized applications, and multiple permutations of quickly evolving technologies. As these technologies get introduced, the underlying DevOps approaches have been tasked with reducing the time to innovate while simultaneously attempting to minimize IT risk. 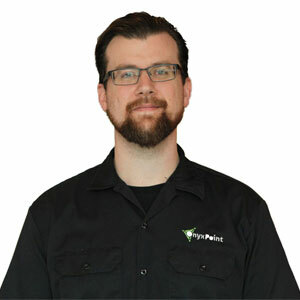 Onyx Point, Inc., a privately held company headquartered outside of Washington, DC, is focused on open source DevOps technologies, with a particular emphasis on IT security compliance automation. Therefore, when the nearby National Security Agency (NSA) contributed an internal R&D project with a focus on compliance automation, System Integrity Management Platform (SIMP), to the open source community, it made sense that Onyx Point receive the first Cooperative Research and Development Agreement (CRADA) from the NSA for SIMP Open Source Stewardship. “The future of compliance automation is a problem for us all to tackle together,” stated Trevor Vaughan, co-founder and CIO of Onyx Point, Inc. Today, Vaughan is the technical lead of the SIMP open source project. He believes that the combination of infrastructure automation with well-defined security controls is the best recipe for success as core technology stacks continue to expand. As the project has progressed since its origin in 2009, it has graduated from a research project to a mature compliance automation framework that aligns with a host of National Institute of Standards(NIST) Special Publications, such as NIST SP 800-53, and related industry regulations (i.e. HIPAA, PCI-DSS, SOX, etc.). Likewise, the SIMP open source community has expanded to include members from inside and outside of government and from around the world. As time has progressed, organizations began requesting DevOps related consulting services from the Onyx Point engineering team. Today, in addition to providing systems automation frameworks and supporting software, Onyx Point advocates a holistic approach to DevOps best practices for various clients. In the public sector, adherence to the NIST Special Publication security standards is the rule. In particular, practical system configuration in accordance with NIST’s Risk Management Framework (RMF) is promoted through the use of SIMP and complementary technologies. Additionally, the Onyx Point engineering team is encouraged to provide direct feedback to the regulatory governance bodies in order to promote changes that reflect the practical reality of operational system capabilities and requirements. Likewise, in the private sector, the same technologies and practices can be readily adjusted to meet a wide variety of industry regulations, including those prominent in the financial, insurance, and healthcare sectors. In both cases, Onyx Point promotes a collaborative, educated approach to the system as a whole, centered on team education and strong promotion of open standards.